I recently had the opportunity to try the new line of crackers from Triscuit. 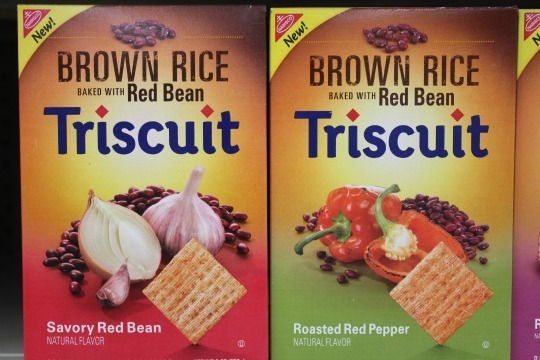 Now I've always been a fan of Triscuit crackers, but I am loving the new brown rice and wheat! 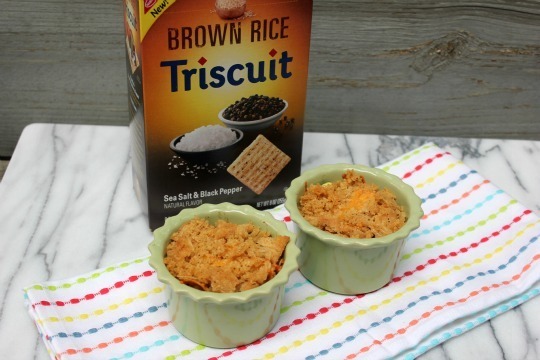 The hubby and I have been on a mission lately to eat more real foods and Triscuit begins making their crackers with 100% whole grain brown rice and wheat plus they bake in real food ingredients like sweet potatoes or savory red beans. They offer 5 new fantastic flavors! The Sea Salt and Black Pepper flavor was so tasty! Triscuit crackers are delicious on their own, but I decided to use them as a topping on my veggie roasted mac and cheese for dinner. I loved the crunchiness and the spicy pepper taste. Give the new Triscuit crackers a try. Bet you will love them too! Preheat oven to 400 degrees. In a small bowl, stir together crushed Triscuits and butter; set aside. Toss veggies in olive oil. Place them on a foil-lined baking sheet, salt and pepper to taste. Roast veggies in the oven for 12-15 minutes, tossing half way through roasting time. While the veggies are roasting, bring water to boil in a medium sauce pan and cook pasta according to package directions. Drain pasta. Remove veggies from oven to slightly cool. Spray two ramekins with cooking spray. In a small bowl, toss pasta, veggies, cheese and milk together. 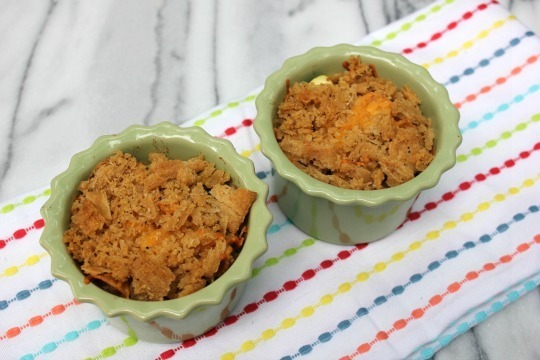 Fill ramekins with pasta mixture. Top with buttered, crushed Triscuit crackers. Bake for 25-30 minutes or until the topping is nicely browned. This is a sponsored conversation written by me on behalf of Triscuit. The opinions and text are all mine. This is a sponsored conversation written by me on behalf of Triscuit. The opinions and text are all mine.